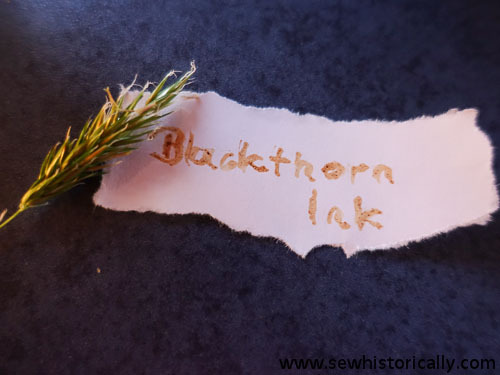 Sloe or blackthorn (Prunus spinosa) is great for DIY printmaking ink. 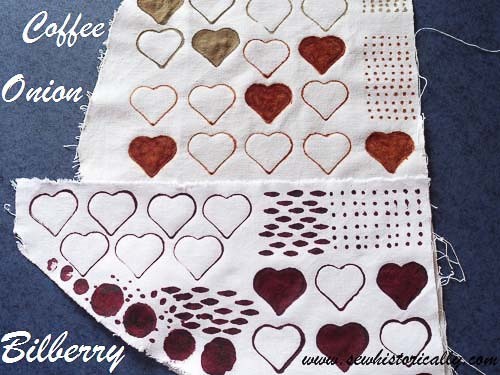 You can use the berries as well as the bark. 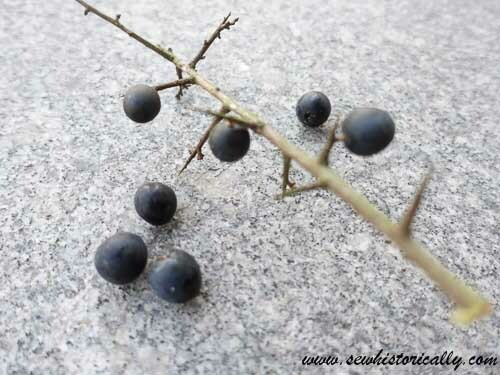 Other berries also work well such as bilberries (vaccinium myrtillus). 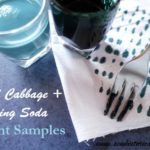 Red cabbage is also great. 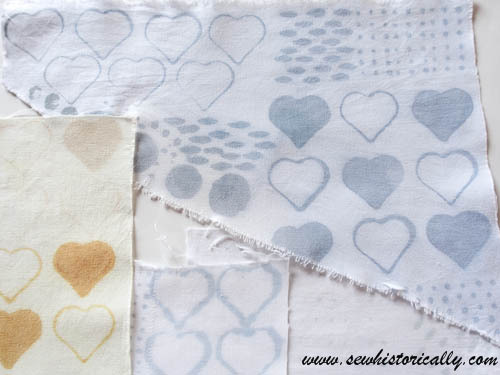 I used cotton fabric for the print samples. 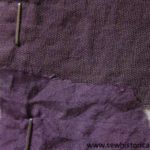 You can also use silk, but the blues will be more purple on silk. 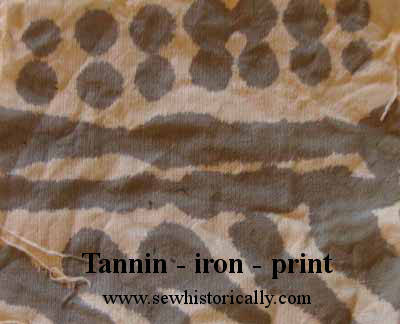 Prewash and iron your fabrics before printing. 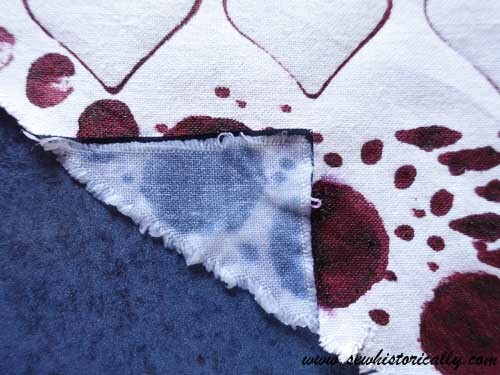 I didn’t use mordant – except for the iron tannin print – because I wanted to show you the natural print colors. 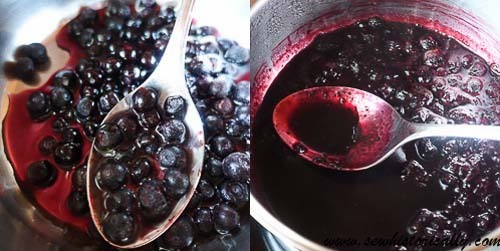 Bring berries (bark, leaves, onion skins etc.) 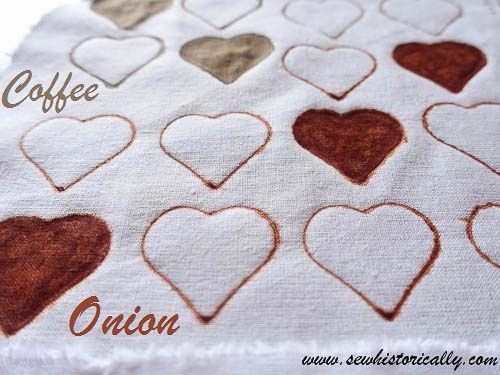 with some water to a boil. 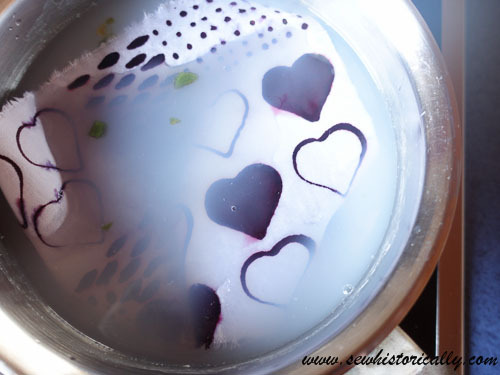 Simmer it for about 10 minutes (berries, red cabbage) to one hour (bark, onion skins). 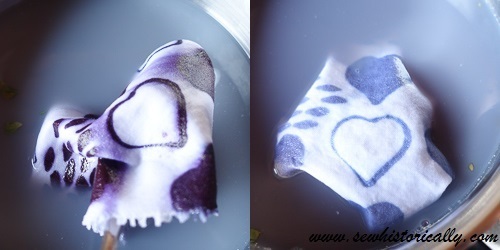 Strain the dye solution through a sieve. 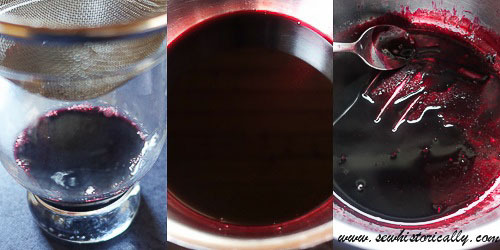 Bring it to a boil again and simmer it till the consistency is thick and syrupy. 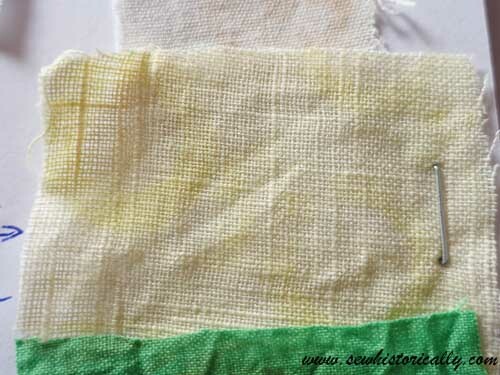 Now use your DIY natural fabric printing ink just like ordinary fabric printing ink. 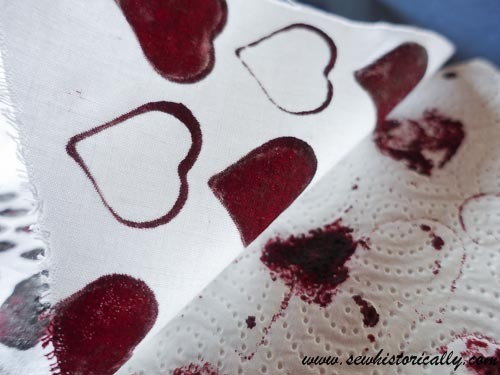 I used a fork and a heart-shaped cookie cutter as stamps. 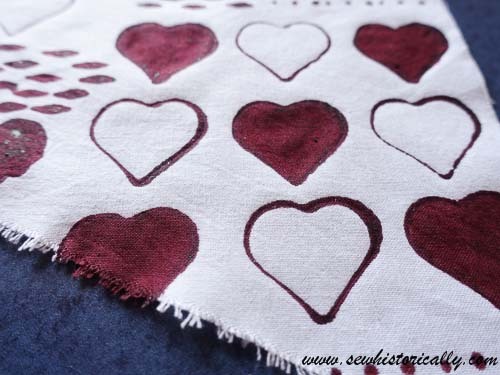 But you can also use other stamps such as wood block stamps. 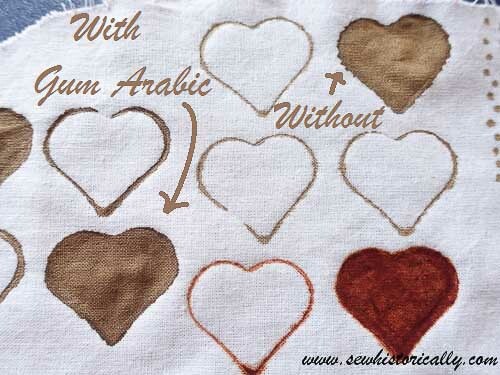 If the fabric printing ink is too watery, you can thicken it with gum arabic. 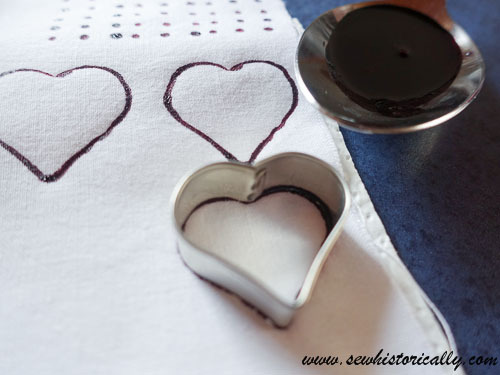 Stir in some gum arabic while the ink is still warm. 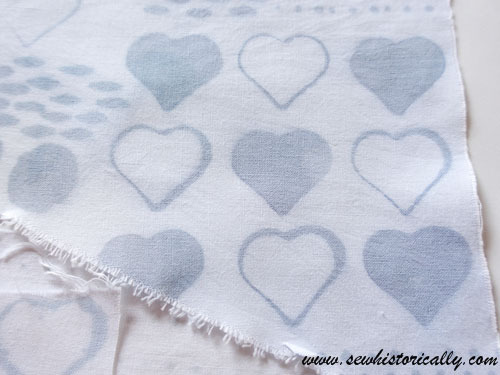 Let the fabric dry overnight after printing. 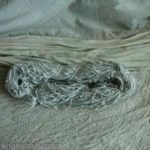 Then wash it with soap and water. 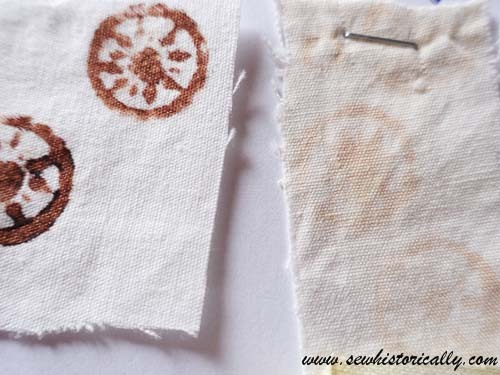 Washing and ironing might change the color, because some natural printing inks are ph-sensitive and heat-sensitive. 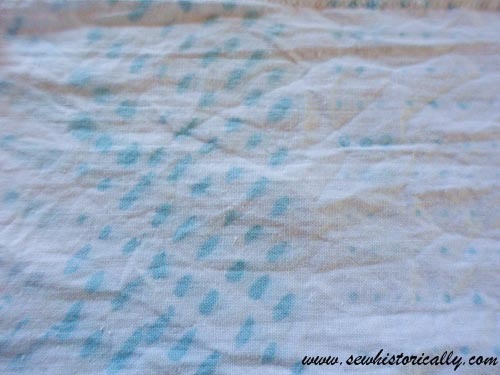 I washed all the printed fabric with castille soap and 60°C hot water. 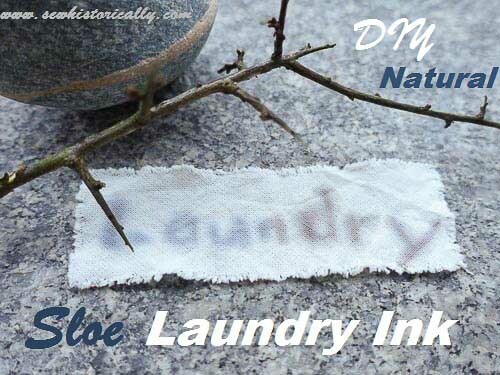 Natural fabric printing inks will bleed during the first wash.
After the first wash, you can wash your natural printed fabrics with similar colored clothes in the washing machine. 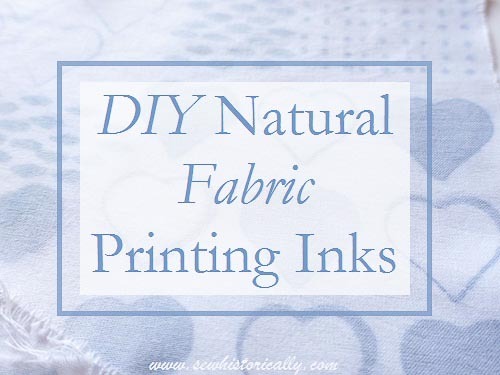 Use the lowest heat setting when ironing your natural printed fabrics – especially the blue printing inks are heat-sensitive. 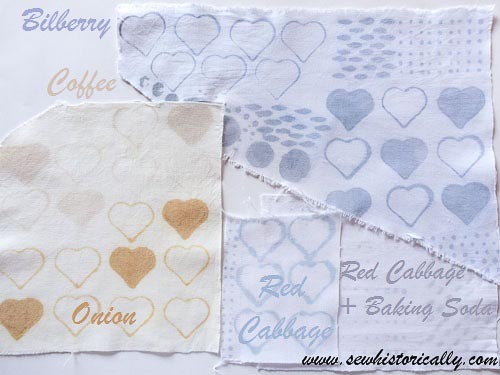 Because I love blue, my favorite natural printing inks are bilberry and red cabbage (without baking soda). 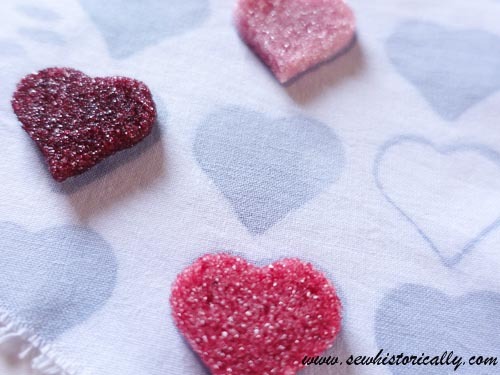 While sugar hearts colored with bilberry juice are pink, fabric printed with bilberry is blue after washing. 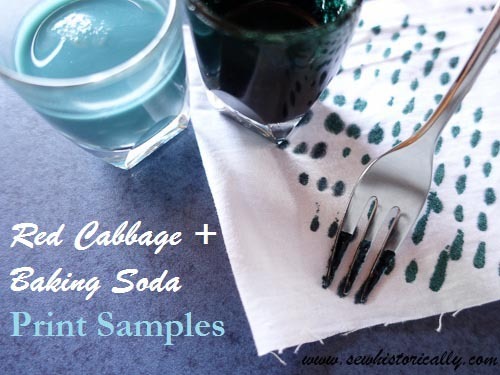 Red cabbage-baking soda dye isn’t very lightfast, after washing and some month exposure to sunlight, the teal turns grey. 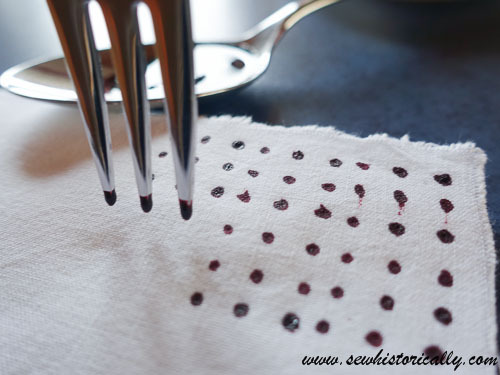 If the bilberry print is ironed before washing, it stays grey even after washing. 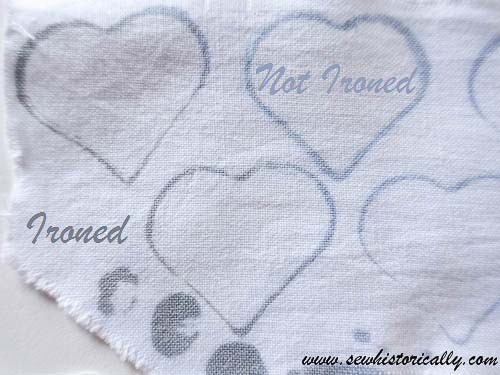 Otherwise bilberry printing ink is blue, even if ironed after washing. 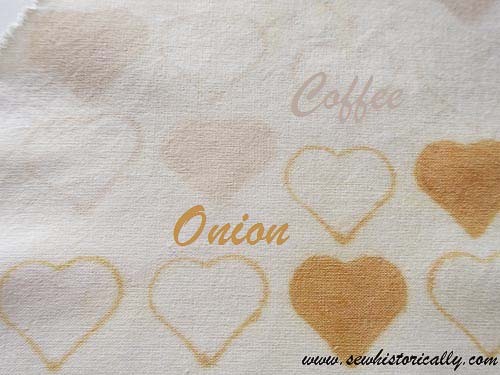 Coffee print is very pale after washing. 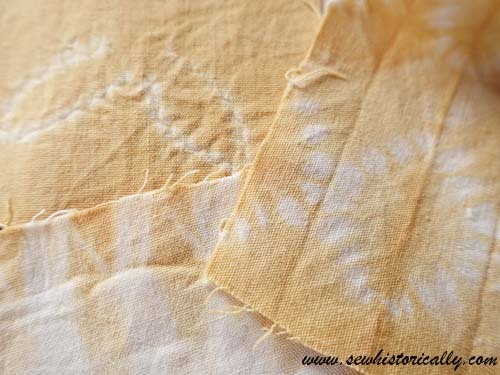 Curcuma doesn’t work as DIY fabric printmaking ink because the whole fabric is yellow after washing. 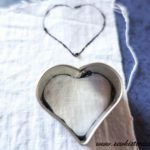 If you try out natural fabric printing inks, I’d love to hear about your experiments and results. And if you have questions, just ask them in the comments below. 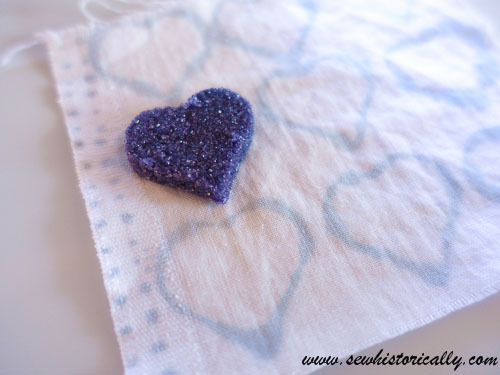 This is so fun ~ Thanks for sharing @Vintage Charm!